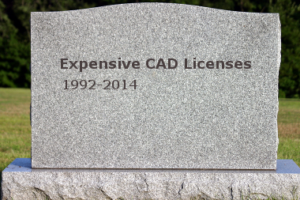 Expensive CAD Licenses No Longer Required! Have you ever had to purchase an expensive CAD license in order inspect the part per your customer’s CAD model or drawing? Does your staff spend long hours creating 2D CAD drawings from your customer’s models so that your inspectors can inspect from a 2D drawing? Announcing the release of the new InspectionXpert OnDemand for CAD, a quality planning and documentation software platform that supports both 3D model-based and 2D print-based formats. We have taken the industry leading quality planning capabilities for 2D PDF and TIF drawings that InspectionXpert OnDemand users have enjoyed for years and delivered them in a package for users with 2D and 3D CAD files (e.g. 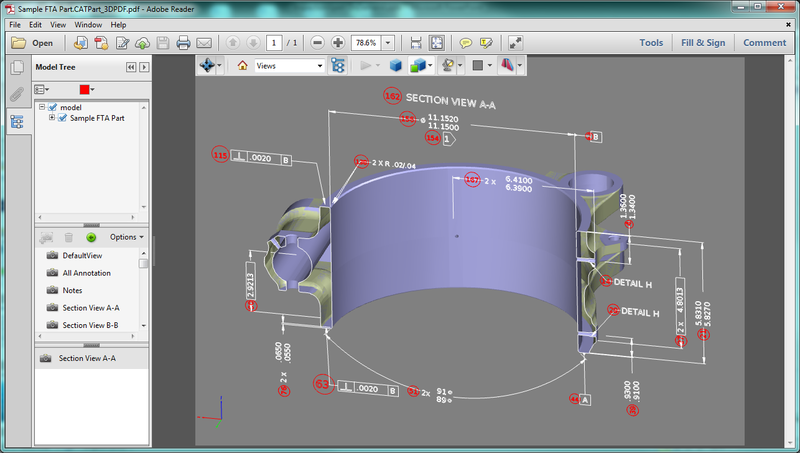 CATIA®, ProENGINEER®, AutoCAD®, etc). InspectionXpert OnDemand for CAD means end users who need to create inspection report forms can now save money and time using the same workflow regardless of input file format. InspectionXpert OnDemand for CAD is everything you need to create your inspection reports, without the expensive CAD licenses and CAD training. Learn more about InspectionXpert OnDemand for CAD. 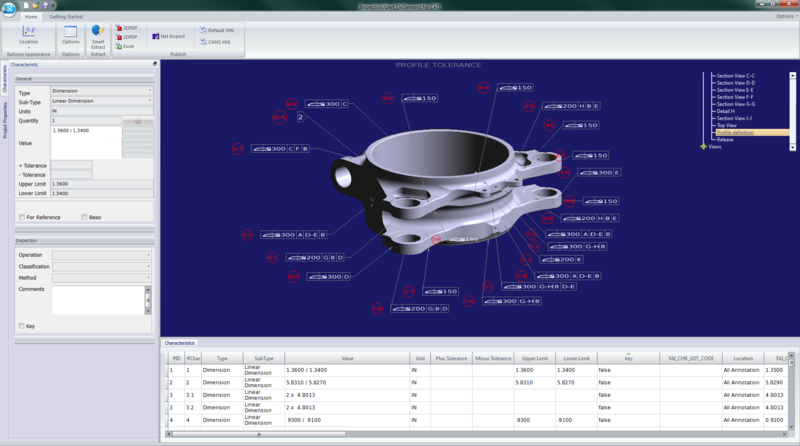 Automatically or selectively extract all dimensions, tolerances, notes and other annotations for inspection. Export to industry standard reports such as AS9102 & PPAP or custom reports designed by your company.